Currently, there is a health crisis in Tijuana with the arrival of over 5000 refugees at the Tijuana border. These folks are seeking asylum in the United States because they are fleeing persecution and conflict in their home countries. In the interim, they are subject to sub-par living conditions, displaced from camp to camp, and exposed to the winter elements. These conditions have perpetuated poor health outcomes amongst the refugee population. The San Diego Border Dreamers, in collaboration with many amazing physicians, medical students, and volunteers are tending to the current health crisis. Since the arrival of the caravan we have had over 1,000 patient visits at our clinics. 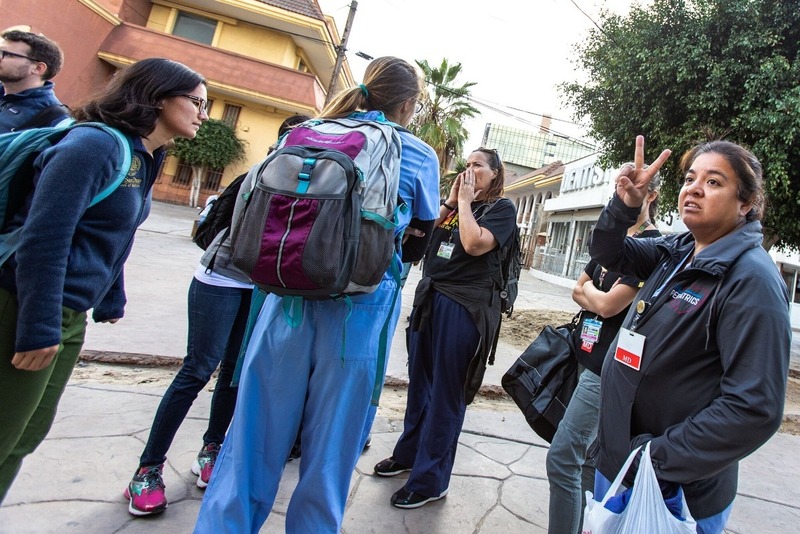 Every weekend 15-35 volunteers from across the country join us to provide care at 4-6 sites throughout Tijuana to see between 80-175 patients. Over the past month, we have established a clinic at an autonomous community space where asylum seekers are coming to receiving free meals and legal support every day. This clinic sees 8-20 patients each day and we hope this space until need subsists. 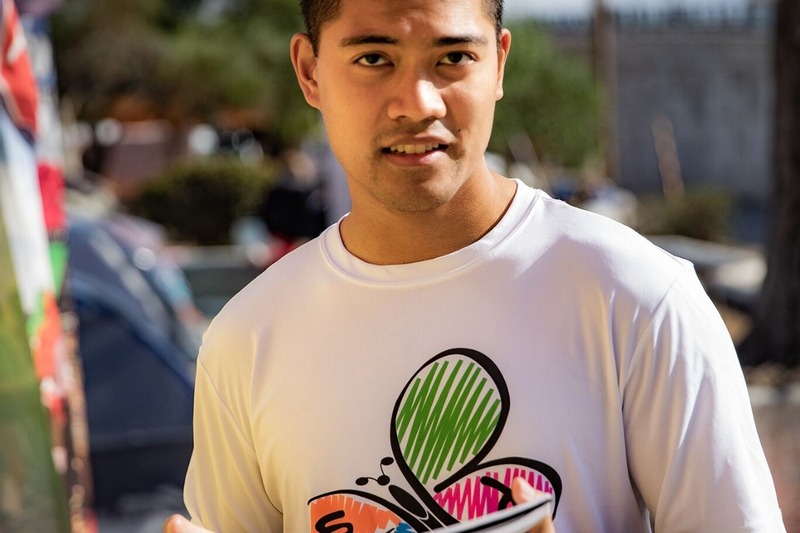 Furthermore our group provides psychological consultations and group support to vulnerable subsets of the population including unaccompanied minors and LGBT members. Recreational therapy sessions, which have included activities like art art and yoga, have also been hosted to promote mental health. We would like to kindly ask for your donations to continue this grassroots effort to provide medical aid and support to asylum seekers. Your donations will go towards items on our needs list. Direct donations for these goods are also welcome. If you would like join our efforts on the ground please fill out this form. We would like to provide you all with an update on our work. Your donations have been extremely helpful as we have had over 1000 patient visits. 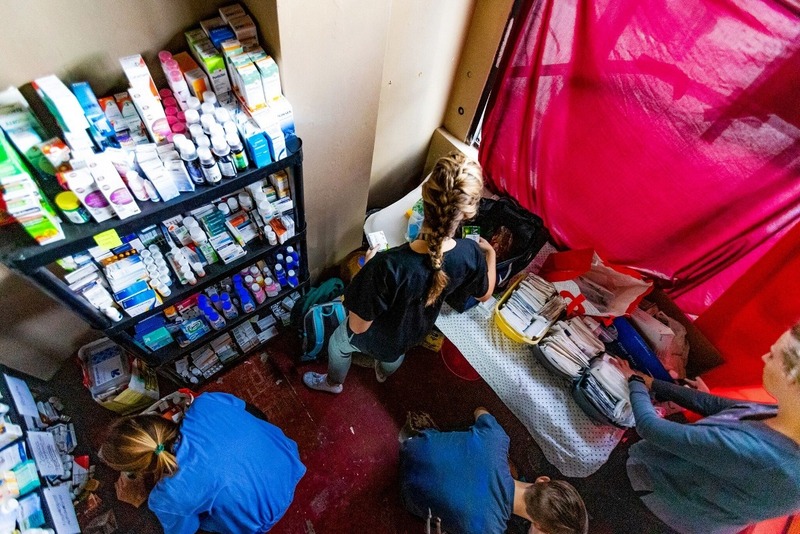 Not only are we hosting large weekly clinics, which have seen up to 175 patients a day, but through your donations, we have built a clinic opened 7 days a week and staffed by dedicated volunteers that see 8-20 patients daily. Here are some articles if you are interested in keeping up with our work!! Thank you all for your donations. We wanted to update you all to let you know that your contributions have allowed us to do so much work in the last few weeks. We have conducted three pop-up clinics so far in November and December have successfully provided care to over 200 refugees. However, our work is far from complete as these refugees are likely to stay in Tijuana for many more weeks-months until they given their legal right to asylum. As a result, we plan to continue our trips through January and potentially beyond. If you can help contribute more money to this cause or share our GoFundMe on your social media platforms, it would be much appreciated, and it will go a long way in helping with this effort. Thank you all once again!! Hello everyone, I just wanted to thank you all for supporting us, in this case, to help in the current health crisis in Tijuana. Many months ago you all were kind enough to donate to this cause, and your funds were much appreciated. We did not use all the funds during the last exodus; however, we are still using your contributions to help with the current one. I wanted to take the time to thank you all!